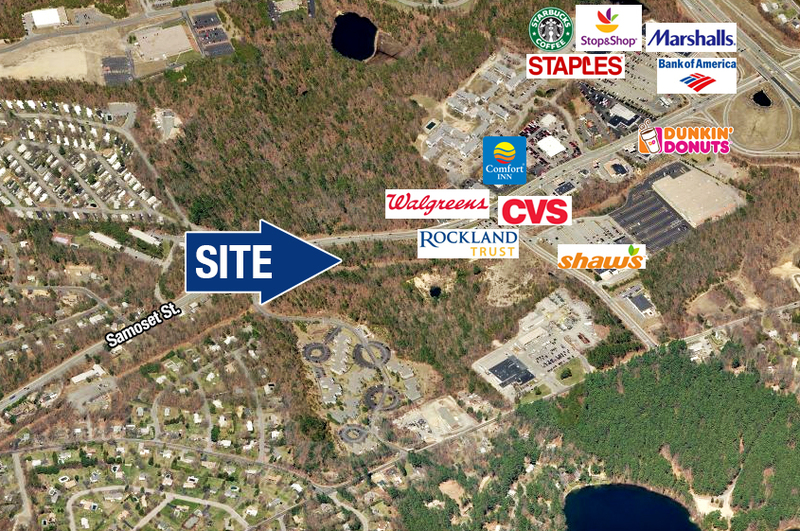 Bernard Gibbons of ABG Commercial represented the buyer Empire Management in the purchase of 12 acres of land from Cumberland Farms. The property is located on busy Samoset Street in Plymouth featuring a traffic count of 17,000 cars per day. Nearby tenants include: Stop and Shop, Shaws, Staples, Marshall's, CVS, Walgreen's, Comfort Inn, Starbucks, and Bank of America.